Parents are very much glad when they know that their child behavior is very good with their teachers, and people are satisfied with them. We suppose that sibling behavior and talent are equal. We thought that they belong with the same family and they are from same gene, and their brought up are in a safe environment. But the actual facts are different most of the time. Sometime they are same and sometime not. Actually they are like a five finger of same hand; their roots are same with family and parents. Fighting, selfishness, jealousy, fun, nose, this is not any other place it is home, where more than one siblings. They can’t sit to-gather for a long time, and they can’t stay away long time as well. They have a strong love at the same time they fight, with each other. This is called perfect home of siblings with fun and love. Fights of sibling are on daily bases, sometime increase ratio when they are on vacations, and they have a lot time to spend together at same place. While many kids are lucky enough to become the best of friends with their siblings, it’s common for brothers and sisters to fight. Normally, sibling rivalry starts even before the second child is born, and continues as the kids grow and compete for everything from toys to attention. As kids reach different stages of development, their evolving needs can significantly affect how they relate to one another. It can be frustrating and upsetting to watch and hear your kids fight with one another. A household that’s full of conflict is stressful for everyone. Yet often it’s hard to know how to stop the fighting, and or even whether you should get involved at all. But you can take steps to promote peace in your household and help your kids get along. It’s natural that kids needs change increase anxiety on their identities to effect, they relate to each other. Toddler are little bit more conscious about their toy, when every their other sibling they can’t accept it. Your kids’ individual temperaments — including mood, disposition, and adaptability — and their unique personalities play a large role in how well they get along. Sometimes, a child’s special needs due to illness or learning/emotional issues may require more parental time. Other kids may pick up on this disparity and act out to get attention or out of fear of what’s happening to the other child. The way that parents resolve problems and disagreements sets a strong example for kids. So if you and your spouse work through conflicts in a way that’s respectful, productive, and not aggressive, you increase the chances that your children will adopt those tactics when they run into problems with one another. 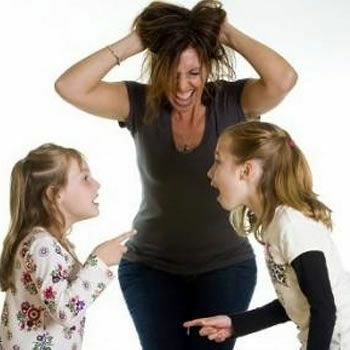 You can contribute to feelings of sibling rivalry of individual attention for your children. This is a crucial step, and I encourage parents to an activity with each child time to special offers along with a plan only with this baby. Enable this option to schedule regular time alone undisturbed suitable for the particular interests of each child, if cooking together once a week with a bike ride on a Sunday morning or a regular movie date each month. The process of nurturing respectful relationships, however, almost always requires intention and effort. Would You Wear A Shirt That Can Be Worn For 100 Days Without Washing? This Is How Kris Jenner Dresses To Go Shopping In Paris! Watch Your Apostrophes: Kelsey Grammer Is On Twitter!